Attending any kind of gathering where we will be mixing with strangers causes a pang of anxiety in most of us, and when English is not our first language, such worries can be greater. One of the advantages we have when we learn English online is that we can take the time to review, practice and learn the traditions of speaking the language. We can read them, work on them with family members to increase our confidence when we have to use them in real life situations. The first thing to remember about big gatherings is that it is very normal to feel some concerns about talking with strangers. Certainly, some people tackle such situations with complete ease, and at the other end of the extreme, some people will be so traumatised that they might avoid the event at all costs. Most people, though, sit somewhere in the middle. They know they have to attend, but do so with some trepidation. The situations we are talking about here include a range of events from parties and celebrations, such as weddings or New Year’s Eve gatherings, through to training courses or conferences we need to attend as a part of our working lives. So, let us get practical. Start your English Learning Online with EF English Live. Sign up for a free 14 day trial! Whatever your goals, our online English course guarantees your success. We will start with the situation where you approach a stranger. You know you need to speak to someone. You make your way to the coffee stall or the table where the sandwiches are, and stand in the queue. Or you spot a person looking as forlorn as you feel, and head up to them. Shake the hand firmly two or three times, and let go. Gripping on, perhaps covering your new friend’s hand with your spare one, is going a bit far for this first greeting. Hopefully, your subject will understand this convention, and avoid the embarrassing situation of one person gripping on tightly, while the other attempts to shake free. Of course, it may be the case that this person has approached you, and starts the conversation. If so, the same pattern as above follows. So, having exchanged names, and appropriately short handshakes, what next? Stand smiling uncomfortably in silence? Hope the other person will speak? The best thing is to go through the sparring stage of a conversation, where you and the other person run through the preliminary exchanges where you decide whether you have anything in common, or the conversation will be a short one before you each move on to try someone else. Start with the thing you each have in common for certain – your attendance at the gathering. Whatever, the conversation is underway. Next, we get into the talk in more depth, and look to find a common interest. And the conversation is off. You have a friend to sit with, and chat with, and no doubt during the event you will get the chance to meet even more people. Don’t be put off, though, if the first conversation does not fully work out. You have made a contact, your confidence will be a little higher, and there will be somebody to smile at if you bump into them later in the day. Sometimes, the initial sparring will not find a common subject, in which case there are some standard ‘safe’ subjects which are likely to offer enough of a chat to make you feel a little more at home. Firstly, the weather. The British are obsessed by the weather. It is surprising really, because the British weather is quite mundane. It is never that cold, or that hot. We very, very rarely get severe storms and the overwhelming condition is ‘slightly damp.’ Still, it is a great subject. As you can see, once the conversation gets started, there is no need to ask direct questions. Secondly, the journey. Without wishing to be sexist, and this is a generalisation, discussing the route tends to be more of a male thing. The third safe bet, perhaps not as secure as the others, is to steer the subject onto children. Everybody loves to talk about their children, if they have them. The key is to seek the chance to bring up your own kids (if, of course, you have them). Let’s take the example of sipping coffee. This is the risky point. The half question is said with a gesture, such as the slight lifting and turning of a hand. If the response is negative, perhaps with the shake of the head, or as an incomplete sentence, it is probably best to steer the conversation elsewhere. However, if the response is positive, you can then ask about them, and it will be a very unusual person who does not want to talk about their children. Our final safe subject is work. Almost as much as their children, people like to talk about their work. ‘What do you do?’ is a question likely to encourage a detailed answer. Even with friends, there comes a time when a conversation reaches a natural end. This is likely to be quicker with a stranger. It may be that another person joins you, who knows your new friend and quickly begins to talk about subjects particular to them. There are again easy to learn ways to politely and comfortably move on. ’I’m just going to get a top up,’ (indicating the coffee cup you are holding). Once the conversation subject has been established, the best way to keep it flowing is with open ended statements or questions. ‘That’s interesting…’ and so on will get a better response than closed questions which require just a short response. ‘Are you enjoying the party? These questions just require a yes, no or one-word answer, and so close conversations rather than keep them running. Keep regular, but not constant, eye contact with the speaker, and don’t let your eyes wander around the room. Keep your body language focussed. Don’t look at your watch, for example. Don’t spend the time sorting what you will say next, if you can avoid it. Wait for the natural pause in your new friend’s speaking before you add your own serious contribution to the conversation. Following the guidance in this article will make dealing with strangers at large gatherings easier, and increase your confidence, as well as helping your understanding of English. Your spoken English will really improve as well. There is nothing as good as practice. 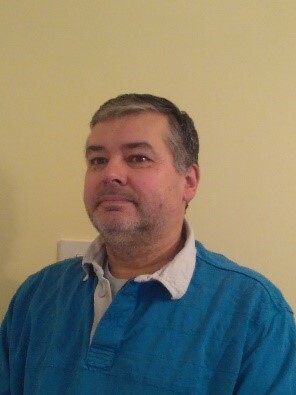 Alan is a freelance writer who has published a number of books on Amazon, both in paperback and for kindle. He also writes regular blogs and articles for various online magazines and websites. His website www.abpetersfreelancer.co.uk is a homage to both his writing and his second love, football.